Hey Cupcake! (this is harder than it looks) - Stop staring and start sewing! 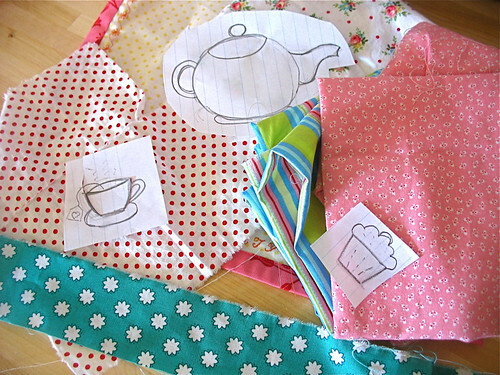 I'm working on this little apron for a dress. I know, another apron. 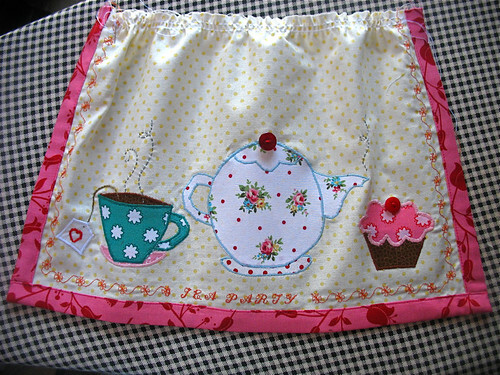 But when I said I was on an apron kick I meant it. This one is turning our super cute but my machine applique work is harder than I thought it would be. I don't have much experience with it and I think it's another one of those things that just takes lots of practice. But overall I'm pleased. 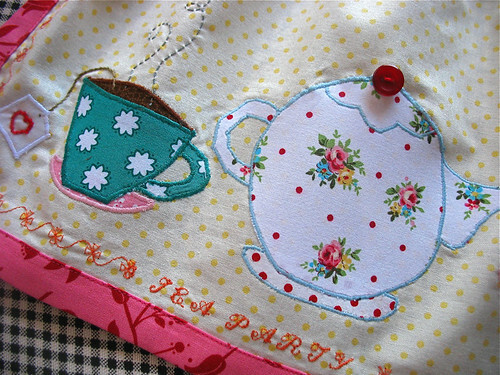 The stitches on the teapot are sort of wobbly. Especially the handle. 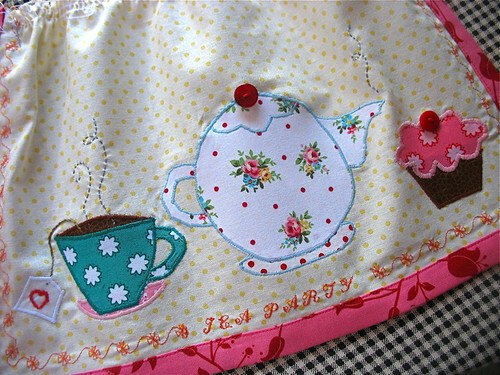 I really like this fabric though because it makes it look like a chintz teapot (don't you think?). I started with this. Some sketches and fabric choices. Here's where I'm at now. Not bad for a novice (as long as nobody look close). Don't you just want that cupcake?! Fun!